Personvagn 2/3:e klass BC4i-37/39, 33671-Mü typ DRG, längd över buffertar 239,8 mm, epok II. Super detailed models boasting correct dimensions for height, length, width and for all doors and windows. Interiors are complete, multi- coloured and are prepared for fitting interior lighting (Pick ups are installed on all 8 wheels) . Bogies have 3-point compensation for a smooth ride. 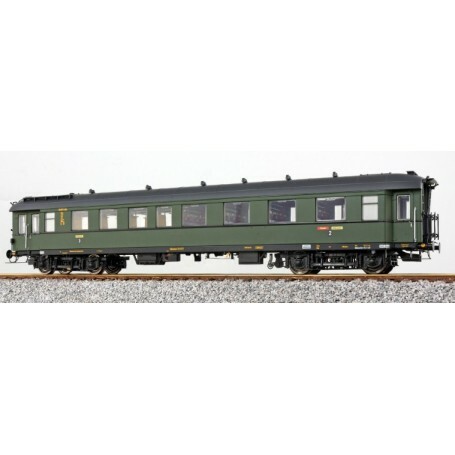 Many separate parts are used for handrails, gangways and under coach equipment.